I don’t know about you, but once Mother’s Day rolls around, I start to get antsy to get a garden in but one can’t be too anxious or you’ll get frosted out. And if you wait past Memorial Day, you don’t have the opportunity for lush growth and lots of harvesting. This year I was able to get our garden in mid-May. 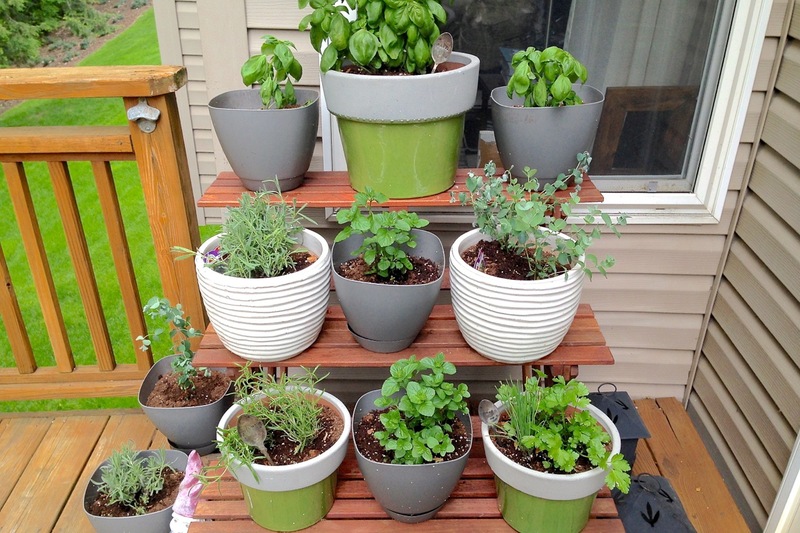 And when I say garden, I mean a container garden. We live on a very sloped lot that is beautiful and connects us to a veritable forest of trees but is not conducive to a flat bed garden. 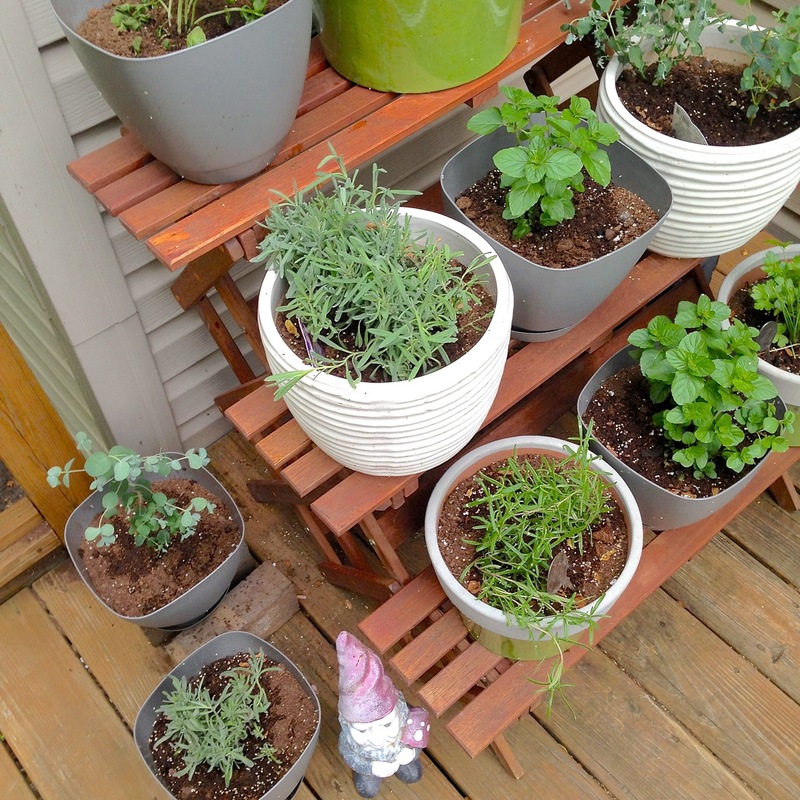 So I have had to learn how to live with a container garden on our deck. And I tend to focus on flowers and herbs, as I have had inconsistent luck with vegetables in pots other than tomatoes and peppers. 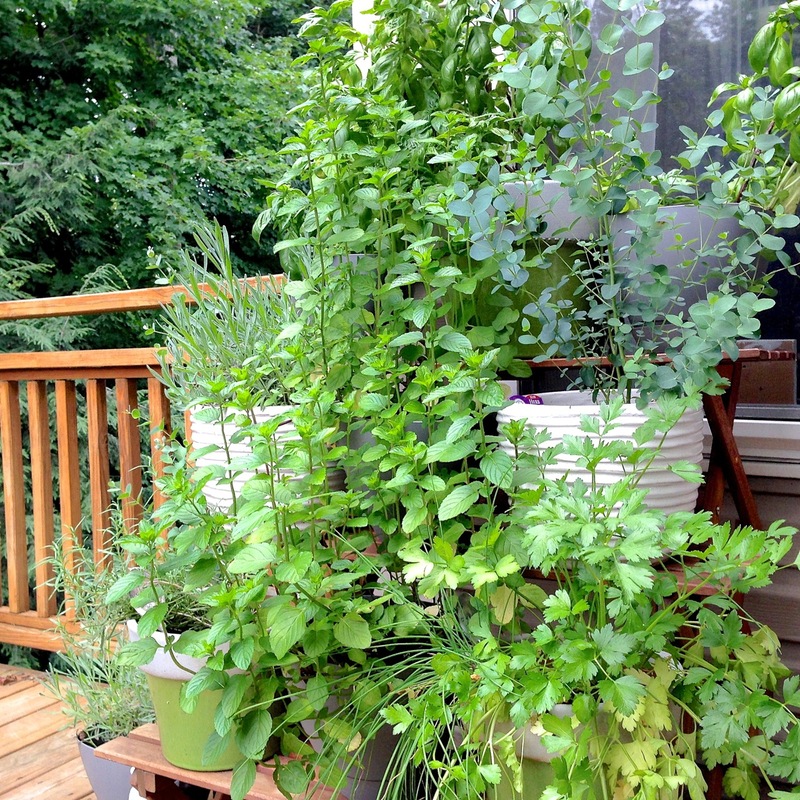 But a container garden of herbs right outside my kitchen makes summer cooking a delight, and if I’m extra diligent I can over-winter some as well. 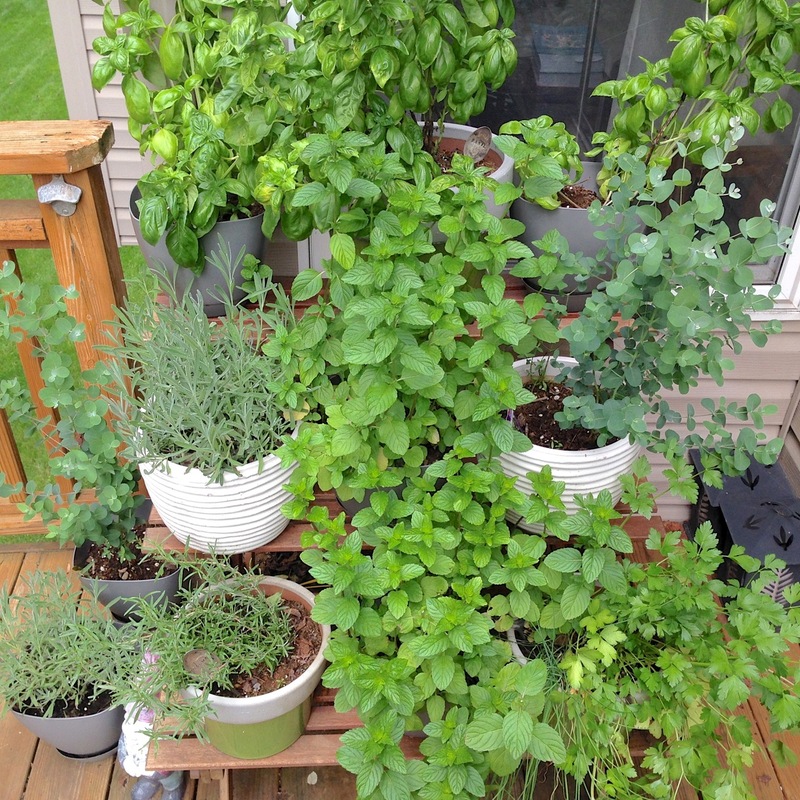 My herbs of choice for a summer kitchen container garden are basil, rosemary, chives, parsley, mint, and then a few wildcard options depending on the year. This year I’m trying eucalyptus and lavender and so far things are flourishing! 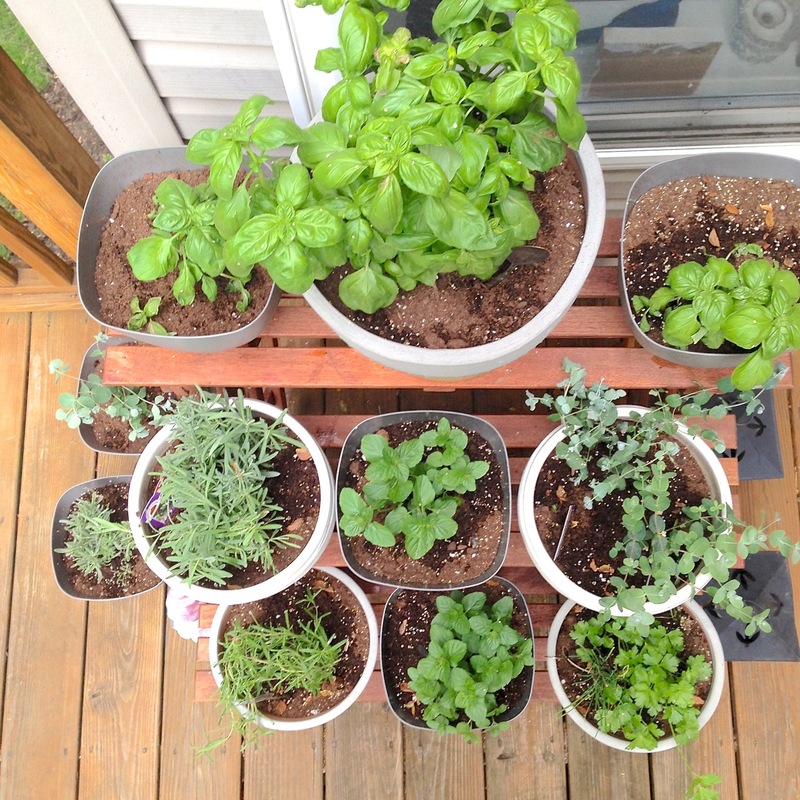 Out of all the herbs in all the land, basil has to be my favorite. Once summer starts, I pretty much resort to caprese salads at almost every meal. Especially if you grow your own tomatoes and basil, you have 2/3 of the salad fresh from your bounty. A caprese salad includes tomatoes, fresh basil, and fresh mozzarella cheese. I then drizzle with a little good olive oil and balsamic vinegar, grind some fresh pepper over the top and et voilà! And if you haven’t tried fresh mozzarella cheese, you are in for a treat. And if you can find it, buffalo mozzarella has a little more flavor with a lovely soft texture. When in Italy we visited a buffalo farm where they made fresh cheese! I haven’t been able to find comparable flavor since but I’ll keep trying. 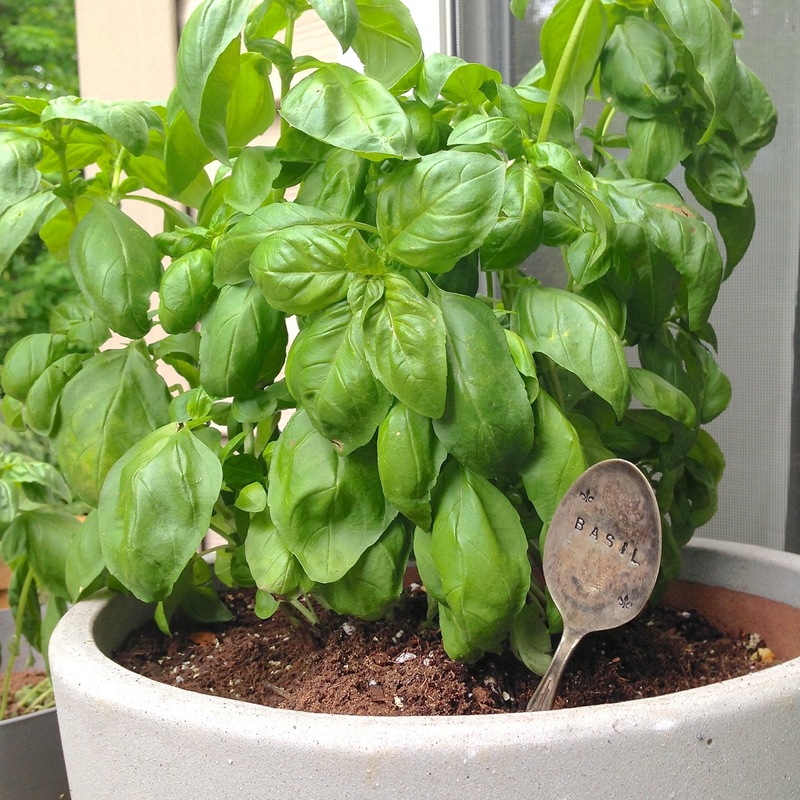 If you have a lot of basil, make pesto (basil, pine nuts, parmesan cheese, and olive oil) or freeze the leaves. One thing to note about basil is that it doesn’t like a wet environment, so don’t overwater or the roots will get moldy. Harvest by clipping leaves close to the next leaf growth to allow new shoots to flourish. Once basil flowers it can get bitter, so harvesting often works well for me (and is never an issue!). 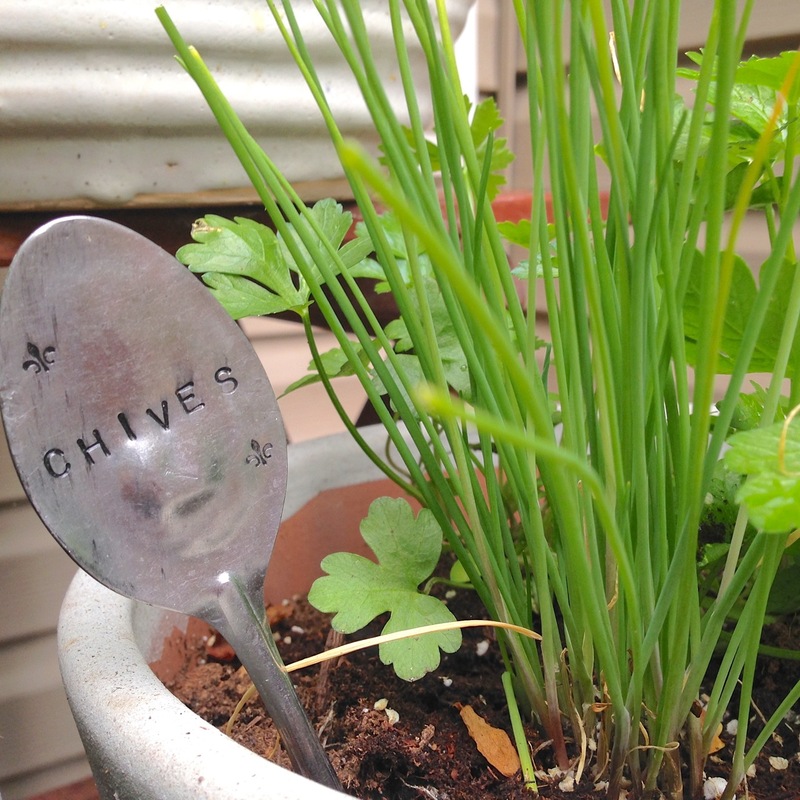 I’m going to combine these, because they are both hearty herbs you can use in soups and salads all summer or even just as garnish. My Mom always made this wonderful Summer Borscht with potatoes, smoked sausage, dill, parsley, and pot barley. I sometimes grow parsley just for that purpose if we can get our hands on the Canadian smoked farmer’s sausage. Another easy summer salad is orzo pasta tossed with lemon zest, olive oil, and finely chopped chives and parsley. Experiment and have fun! Oh rosemary, lovely fragrant plant that can be shaped into little trees, topiaries to use decoratively or just as an herb for dishes. 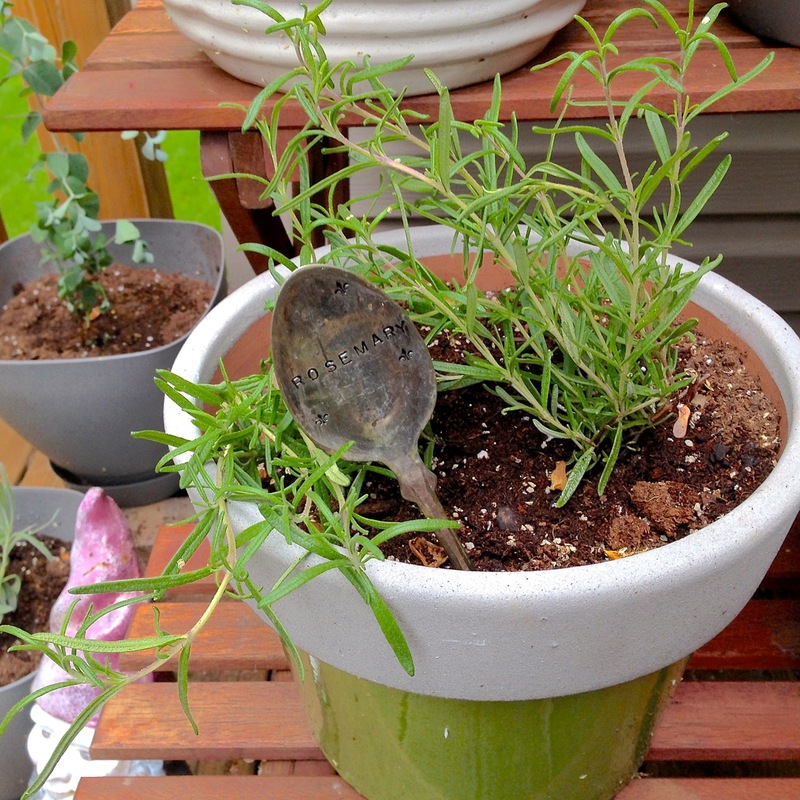 In the summer, rosemary is a must in many of my marinades for steak, chicken, or pork. A favorite is pork tenderloin marinated several hours with chopped rosemary, balsamic vinegar, olive oil, fresh minced garlic, and fresh ground salt and pepper. Grill and then let rest before slicing – and cold the next day, this pork tenderloin is delicious for a picnic! 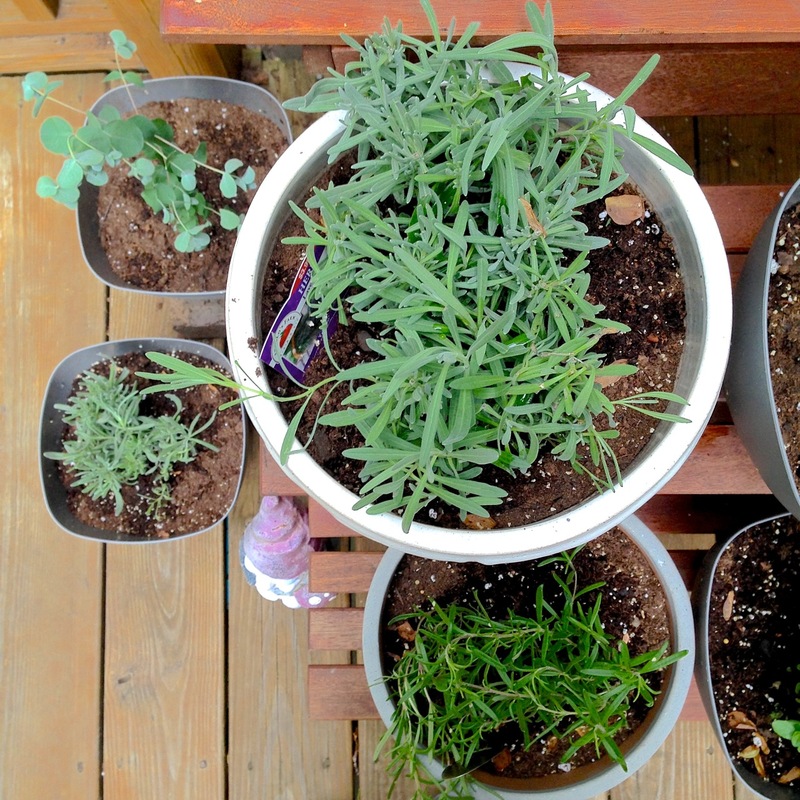 I also use rosemary a lot with potatoes – just dice and toss with rosemary, olive oil, salt and pepper. Roast in a 400F oven for 40 minutes, stirring occasionally to brown on all sides. Oh yeah! Why does anyone grow mint? Mint can be like a weed if you grow in a garden so be careful. But in pots it can be contained. Although I wonder why, when it is the perfect/necessary ingredient for summer drinks! For example, mojitos like a delicious French Mojito, Oui Oui, or flavored lemonades and teas! Just cut off leaves as you need and muddle in your drinks. Mint is quite hearty if you water regularly and harvest. I love the smell of fresh or dried lavender and am always transported to the south of France when near it. Lavender is an herb that likes a dry hot climate, which is why we see it growing in huge fields in Provence. I have no idea how it will do in a container but I had to try it! As this is my first year trying it, I’ll let you know how it goes. I have always admired the looks of eucalyptus leaves in wreaths and known of its medicinal qualities so I’m trying also adding it to my little container garden this year. It almost has a vine-like quality to it, so I’m hoping I can provide enough space for it to flourish – I will report back! As of July, the garden is flourishing and I am making caprese salads, pesto, minty summer drinks, and rosemary-everything! I hope you decide to try a garden of your own. 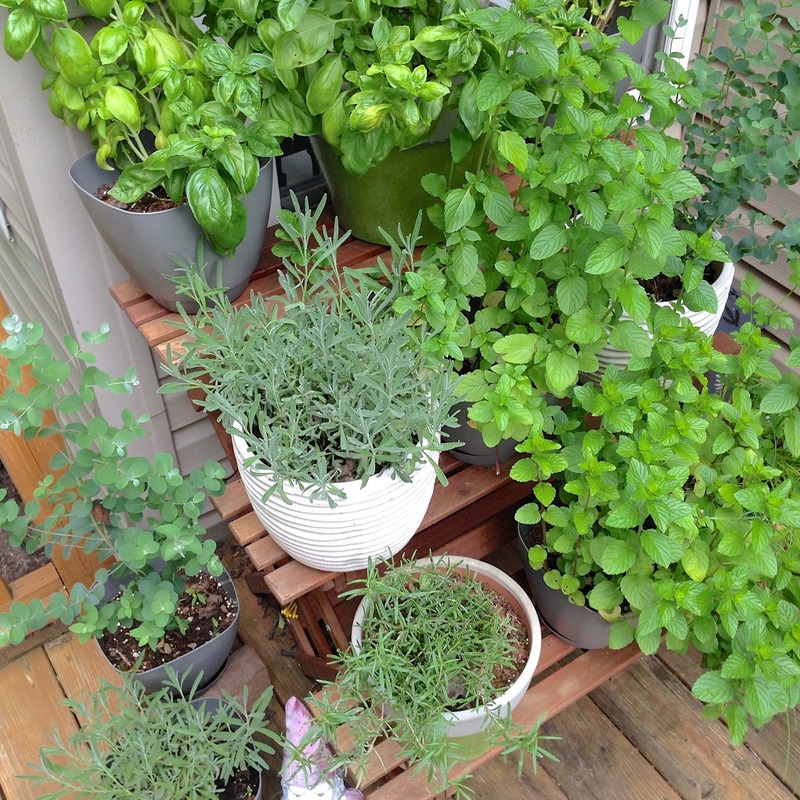 Or if you already have one, I’d love to hear about your favorite herbs and tips – drop me a comment below. Happy gardening!